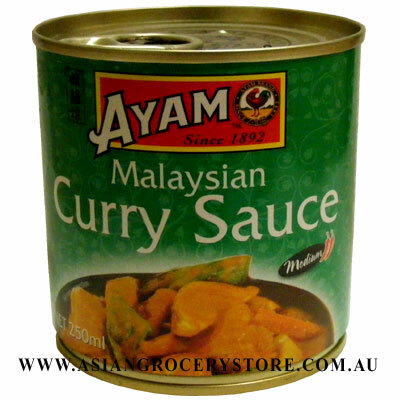 Minimum quantity for "Ayam Malaysian Curry Sauce" is 1. Ingredients: Water, Soya Bean Oil, Shallot Garlic, Curry Powder (coriander seed, dried chilli, cumin seed, aniseed, tumeric, cinnamon, cardamon, cloves, star anise, white pepper), Galangal, Lemongrass, Sugar, Salt, Chilli, Thickener (1442), Coriander Seed Powder. Made in factory processing peanuts .